Getting married is one of the biggest events in a person’s life, and there are a lot of details that go into the planning of a wedding. A future bride doesn’t want to forget anything in their planning, and that is where a Wedding day checklist template comes in. If you are looking for the perfect wedding checklist template for you and your upcoming wedding, you have come to the right place. Wedding to do list template is free to download, which is a great feature, because weddings can get pricey. 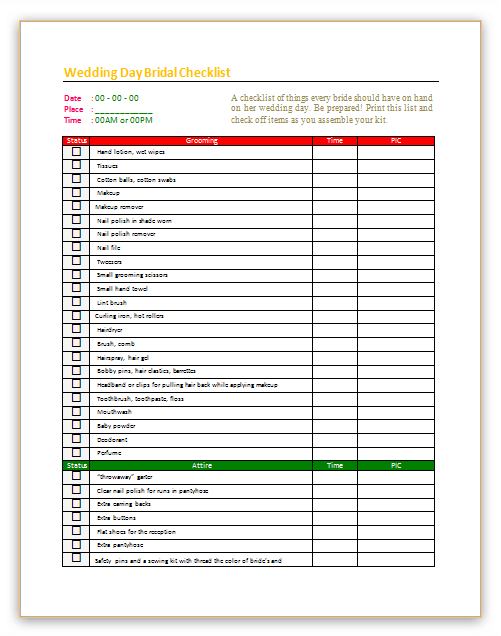 This Wedding day checklist template is printer friendly, so you will be able to have a paper version of your checklist for easy access. This template was designed in Microsoft Word® and is compatible with both the 2007 and 2013 versions. 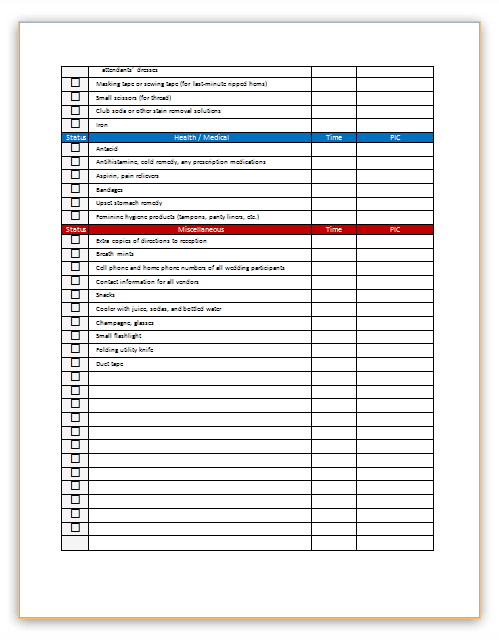 This template contains the basics, and you can add more items to the check-list. Overall, there are great benefits in using a wedding checklist template, and you are missing out if you don’t try using one, yourself.